Insta-worthy Hair: Get the blogger-inspired look! It’s become far too easy to lose an hour – or three – scrolling and double tapping our Instagram feeds for our daily dose of inspiration. If you’re not using Instagram to scope the latest trends, then you’re definitely not using it right! With a sea of inspiration, Instagram is our style go-to. However, bloggers and influencers are not only impacting our wardrobes – but our hair, too! With hairspiration sweeping across our feeds, we’re often left feeling #hairenvy. RUSH understands the importance of insta-worthy hair! We currently have 50% Off Colour with a full priced cut & finish, meaning now’s the perfect time to reinvent your look. To offer all the inspo you need, take a look at some of our clients who boss Instagram and their latest hair looks. Our beautiful client Kirsty, sports the ultimate redhead goals! Red is hotter than ever and completely adaptable to your own style. If you’re looking for a subtle approach, our stylists can help you find a shade of red close to your natural hair colour that complements your skin tone. If you’re a blonde experimenting with strawberry blonde can work beautifully, and if you’re brunette go for dark auburns. For a more vibrant approach, shades of crimson, copper and scarlet are just a few choices to consider. We recommend bringing a photo of the colour you desire to the salon so that we can help to make your redhead dreams reality! Check out Kirsty’s Instagram @kirstyeelizabeth for all things fashion, travel & lifestyle related. Tina defines cool, with a social feed full of outfit & styling tips – but today we’re focusing on her lustrous brunette locks! Brown hair can be underrated, when they’re so many beautiful shades to choose from. Tina’s rich, black-brown tone effortlessly shines and compliments her natural skin tone. If you’re wanting to step towards the darker side, take a look at our brunette blog post. 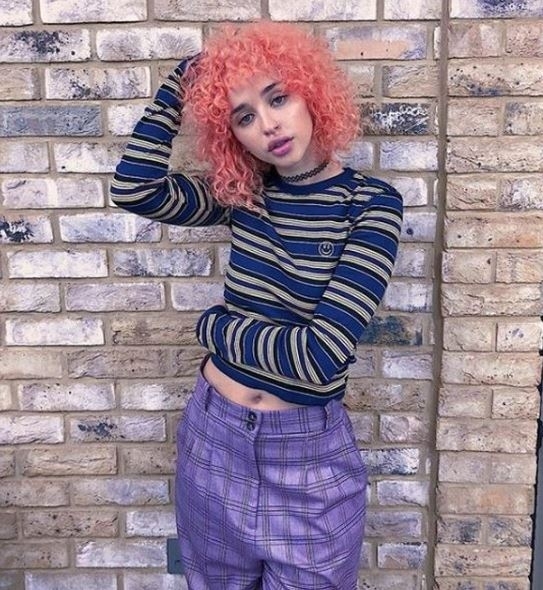 If you’re seeking a striking new look, take inspiration from Kyd’s stunning, peachy mane. Last year we transformed her tresses from brunette to peach in one day! Unicorn colours are set to be a massive trend for 2019, heavily influencing both the Instagram and celebrity world. Esme dropped by at Rush for a fresh chop & blowdry recently. If you’re in pursuit of a neutral, cool tone for your next colour, take inspiration from Esme’s ashy, dark blonde. Whether it’s icy highlights, all over silver or a cool blonde balayage, there’s an ash-look for you. Follow @jayne.esme for all things fashion, beauty & lifestyle. Fleur debuted her new chop to her locks on Instagram after a visit to Rush. 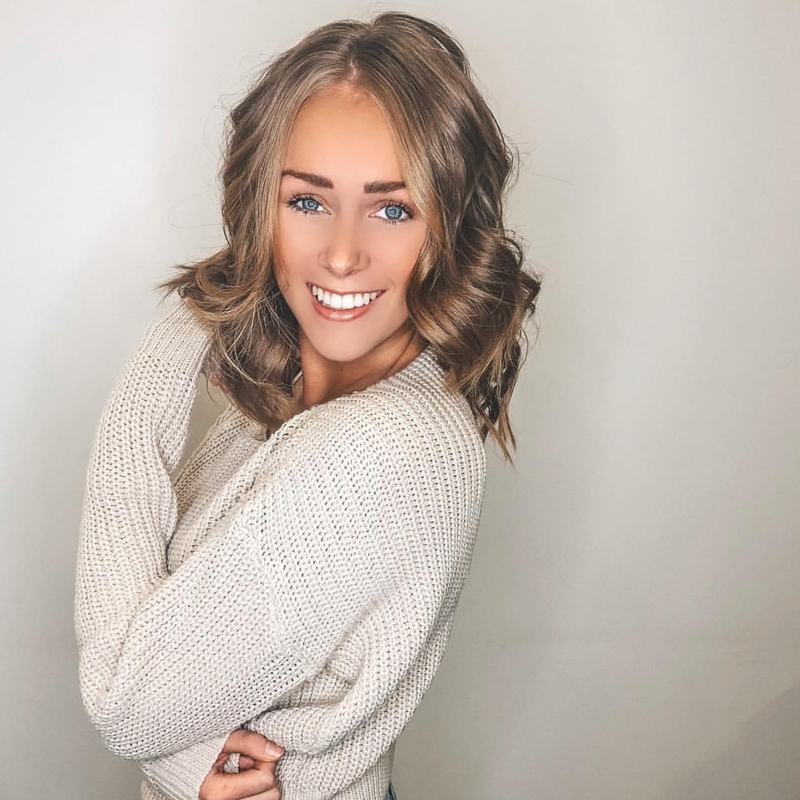 If you’re thinking about going shorter, or blonder, we recommend booking a free consultation with one of our stylists at your nearest salon to offer advice for hair transformation! Follow @londonblogger for more style inspiration. If you’re feeling inspired to take the plunge with a new look, you can book online with our 50% off colour offer here. T&C’s apply.